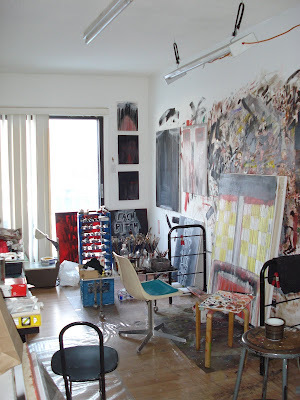 I have been working on a curatorial project in Toronto for the last week, (watch this space) and I went to look around Derek Mainella's studio. Located in Queen Street West, the heart of the art district. 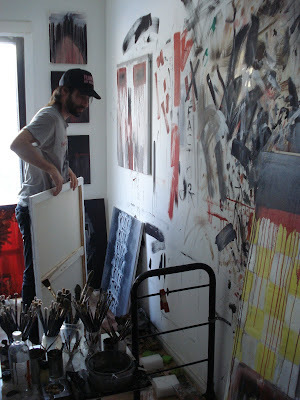 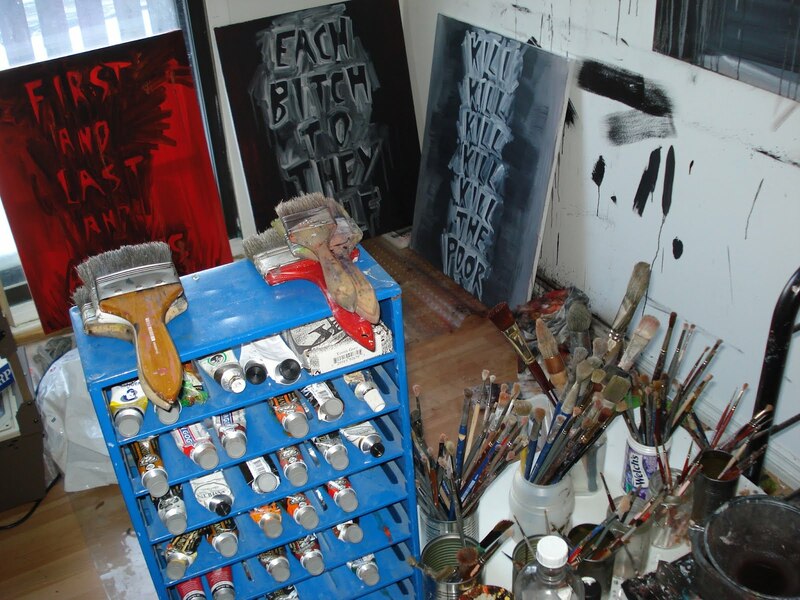 Mainella has been producing a whole new body of work for his solo show at Neubacher Shor Contemporary, opening in April 2012. It is a big departure from the realist figurative painting he has been know for in the past. 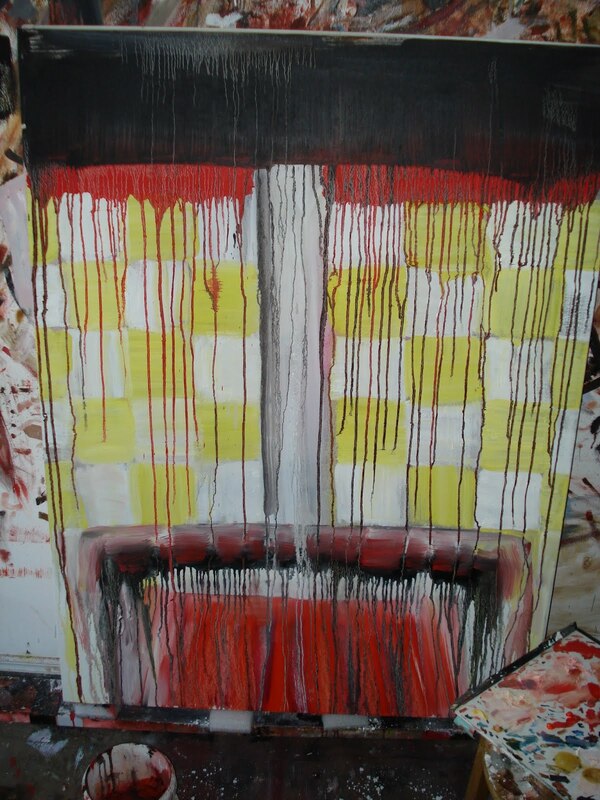 A collection of text and abstracted faces, the painting skill of his earlier work is evident. 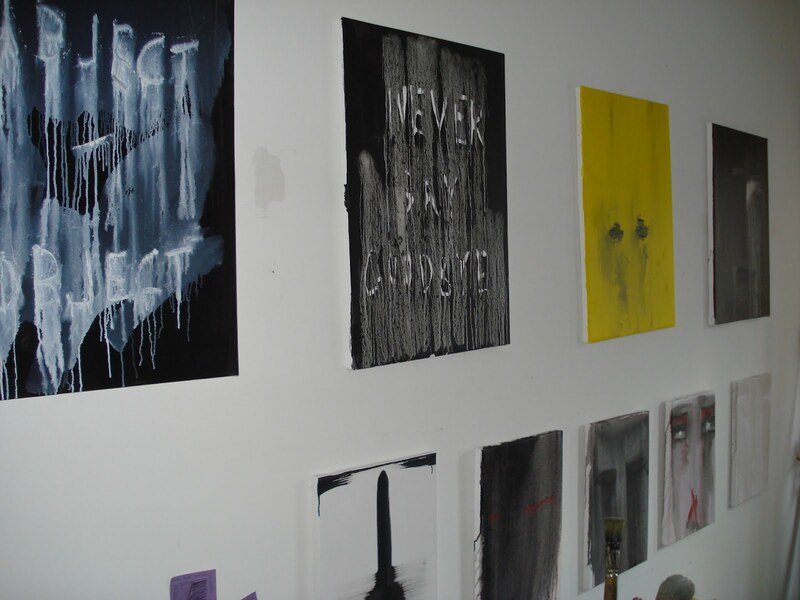 I was lucky to be allowed to take pictures of these yet unseen new works. 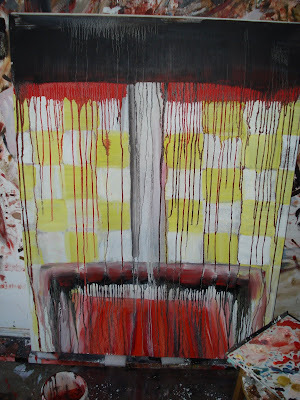 Well worth a visit through the snowy -13 conditions, can't wait to see some images of the show when it's installed.